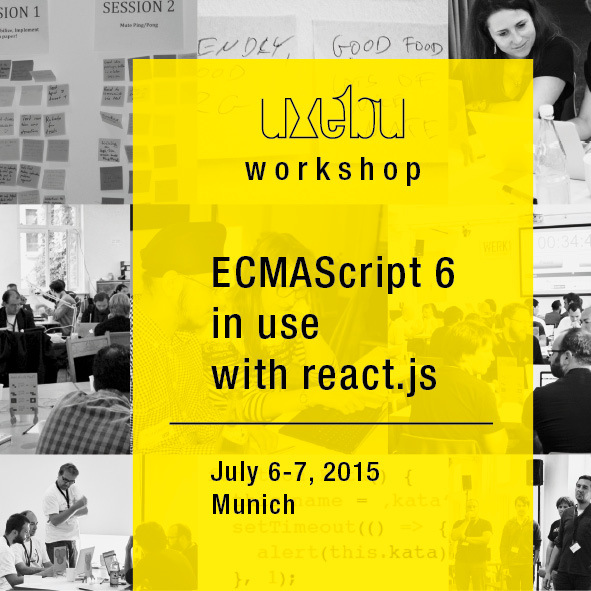 We at uxebu have been using ECMAScript6 (ES6) for a while now, it’s time you do too! 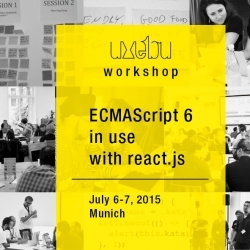 ECMAScript6 in use with react.js. In this course you will create a project from scratch using ES6 everywhere, on the client, the server and in your tests. You will learn how to use the basics of npm to set up a project, use the ES6 module system, ES6 classes (we will do some OO), ES6 destructuring, ES6 iterators and many more things. All this will be based around a react.js single page application, which we will develop for the browser. We will implement server-side rendering, to have an application that loads in an instant and is SEO ready. Interested to get up to the next level of new technologies? Meet fellow experts and connect to the community. The event will be hosted in the city of Munich. The exact address will be communicated as soon as possible. This ensures a productive and fun workshop atmosphere. Hurry and save your seat! This course fee is 790,- Euro per person. It includes the workshop attendance for two days, incl. food and drinks. We kindly ask you to pay the course fee prior to the workshop. For more information and the detailed agenda visit uxebu.com/workshops. You have input? 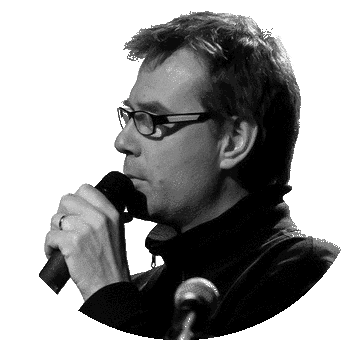 Ping Wolfram Kriesing. Brought to you by uxebu – the creators of ES6Katas.org, TDDBin and JSCodeRetreat. Get your ticket for 790€. Hurry up! In a city near you? More than 17 years of programming experience, four of them practicing TDD, Wolfram is one of the most passionate TDD experts in the bavarian area. Find him on twitter @wolframkriesing or read more on LinkedIn. Want the workshop near you? Stay informed about later dates.